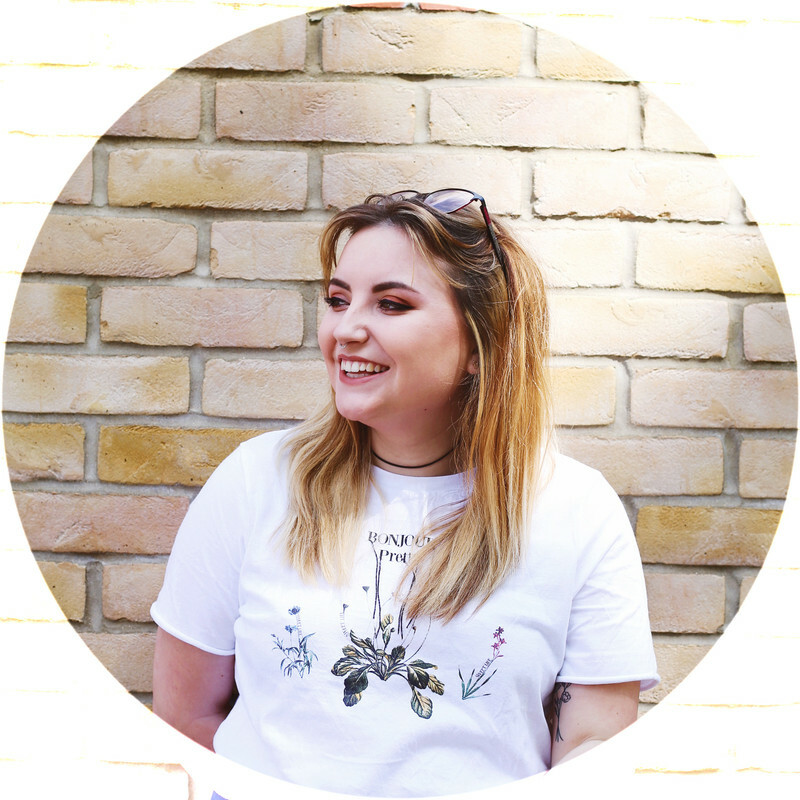 Last week myself and a few friends popped on a train and headed to Bicester Village, and if you're like me and hadn't heard of it before it's a Designer Outlet village near Oxford (I think). Sadly even at discount prices my bank balance took a little battering, I'd actually planned on coming home with only one item and instead came home with over four...which may not sound a lot but I held back to save myself being completely poor. After being completely shocked by the prices when walking into stores like Prada and Vivienne Westwood I was sure I'd go home empty handed, although I'd heard there was a make-up store there, which sold mac...so obviously I had to have a look inside and now I finally own a mac products, and I'm in love with it! 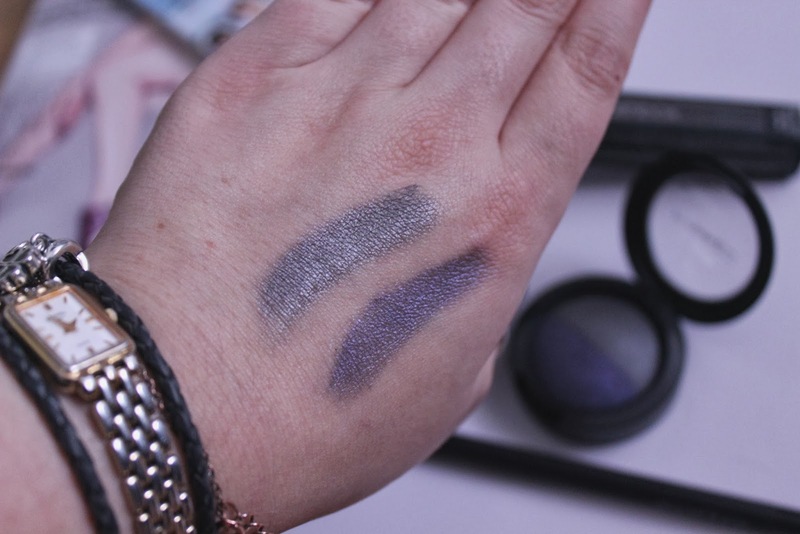 A little eyeshadow which cost me £11, 'Thunder and Rain' a half & half purple and grey, with a little shimmer in the colouring, I'm in love with both shades and the fact that I got 2 different shades for one (technically). I've loved experimenting with this and it's great for a smokey eye effect, I can't wait to use it more...and show you guys the looks I create! 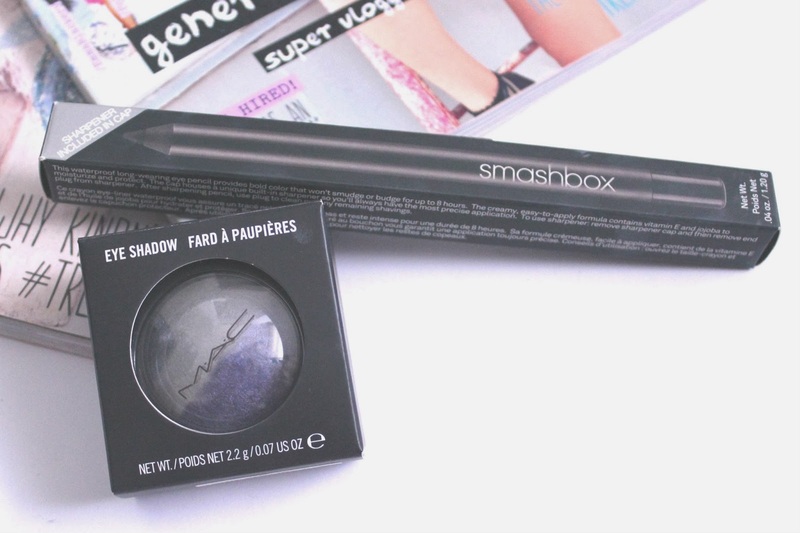 While in the Cosmetic Company store I also purchases a Smashbox eyeliner, compared to my usual £2 on an eyeliner I found paying £10 a little steep, but I wanted to give a better quality pencil to try, although I'm yet to fall completely in love with it! I also fell completely in love and brought a Ted Baker bag and for £24 I couldn't really say no, specially when I could actually justify the payment...needing a new bag to fit everything in for university, counts right? And so far I've used it for every occasion and even took it on a trial run to university and I can't fault it and oh I'm so in love! This isn't my completely haul as I brought a few things for my parents from Cath Kidston and treated myself to a new hoodie from Superdry for my lazy days around the house, which I don't ever want to take off...seriously guys it's sooo cosy! I think my trip may have been a one time thing as I couldn't afford that trip again...for not for a while anyway! However it was a great day out and with a starbucks amongst the shops it's the perfect place for bloggers who love designer brands. 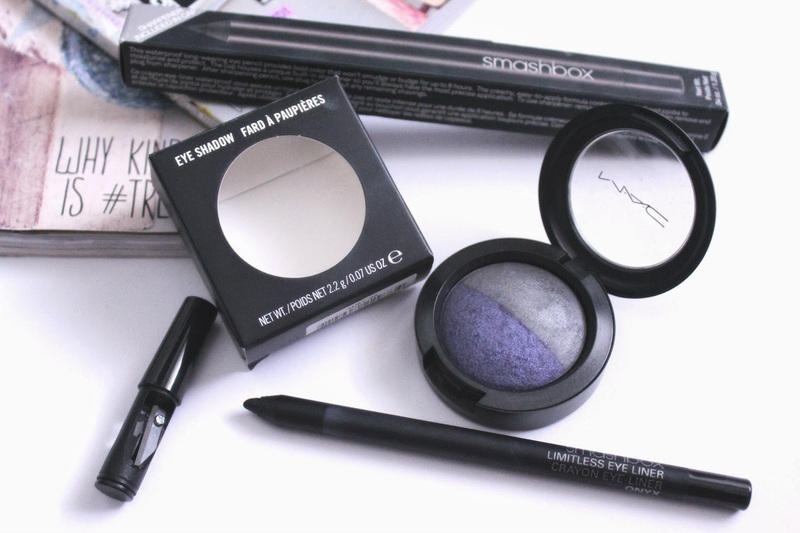 The mac eyeshadow looks lovely and the two colours are perfect for a smokey eye! Also love the Ted Baker bag! I live in Chester and there is an Outlet Village about 10 minutes from my house! I'm always in the cosmetic company and I went in last night. They'd had a huuuuge MAC order and I spent over £80! It's amazing what they have discounted! !